The Elite BORTAC (Border Patrol Tactical Unit) unit fights on to stop terrorists, drugs and weapons from crossing into the US. U.S. CBP BORTAC agents are highly trained, motivated and well equipped to operate along the Mexican-American Border as well as in combat zones around the world. 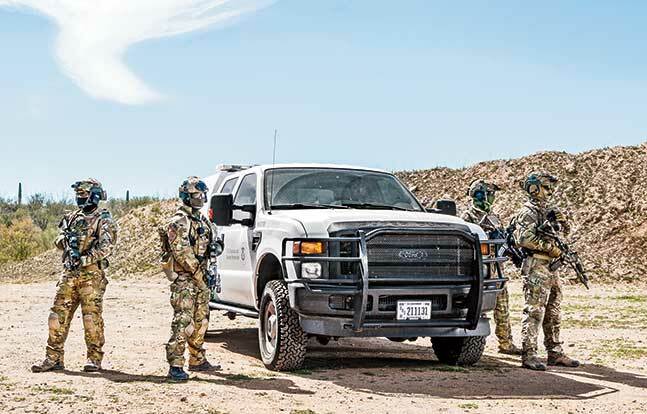 The U.S. Border Patrol Tactical Unit, or BORTAC, was established in 1984, which makes the unit one of the oldest law enforcement tactical teams in the U.S. BORTAC is also one of the most active and diversified tactical units in the law enforcement profession. In addition to serving as the Special Operations Group (SOG) headquarters for the U.S. Border Patrol, Biggs Army Airfield in El Paso, Texas, also serves as the national BORTAC operations and training center. The national BORTAC command has administrative responsibilities over sector BORTAC units stationed along the southwest border and in certain areas along the northern border. These responsibilities include training and equipping the sector teams as well as developing and implementing policy and standard operating procedures. 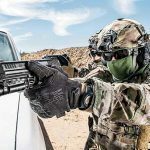 Additionally, SOG has full-time BORTAC operational sections responsible for response capabilities anywhere in the United States as well as missions overseas. In order to perform their wide array of missions, BORTAC currently maintains a strength of some 200 active agents. BORTAC missions include counterterrorism, drug interdiction and other operations that involve protecting the national security of the United States. BORTAC’s core missions include direct action, foreign internal defense, special national security events, security assistance and special reconnaissance. Direct action missions are short term in nature and usually involve high-risk tactical operations, border violence, drug interdictions and counter-terrorist operations. Security assistance missions involve performing threat assessments, protection details and other security duties. When they perform special reconnaissance missions, BORTAC agents gather intelligence through various means for the purposes of further identifying and stopping major violators who are involved in acts of smuggling and other criminal activities. 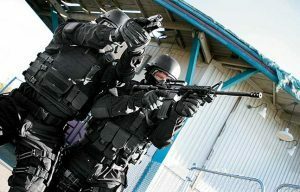 As mentioned, BORTAC operators provide security and other assistance as required at high-profile events, major natural disasters—including Hurricanes Katrina and Rita in 2005—and certain political events. Some examples of BORTAC national security missions include the Summer Olympics in Los Angeles (1992), the World Games in Buffalo (1993), the Winter Olympics in Salt Lake City (2002), international airport security details during Operation Desert Storm (1990-1991) and security details at ports of entry in 1994 and 1995. BORTAC agents also responded to the Atlanta, Georgia, federal penitentiary riots as well as to acts of civil unrest at various federal immigration detention facilities. In 2000 and 2002, BORTAC agents performed security details at the World Trade Organization meeting and the G8 Summit in Canada. While conducting foreign internal defense missions, BORTAC agents assess the capabilities of the host (foreign) nation while also providing training to host government personnel. To date, BORTAC agents have conducted foreign internal defense missions in Colombia, Panama, Estonia, Haiti, Peru, Belize, Mexico, Costa Rica, Kenya, the Ukraine, Kosovo, Argentina, Honduras, Ecuador, Bolivia, Moldova, Ethiopia, Armenia, Tajikistan and Guatemala. This includes serving in Operation Cadence from 1992 to 1995 and Operation Snowcap from 1987 to 1995. During the Global War on Terror, U.S. BORTAC agents have also served in Jordon, Iraq and Afghanistan. During the Global War on Terror, various federal law enforcement agencies deployed armed personnel to Iraq and Afghanistan to perform a variety of missions. Serving with distinction in Iraq were U.S. Customs and Border Protection officers, U.S. Border Patrol agents and BORTAC agents. From 2005 to 2007, BORTAC agents served in Iraq as members of Mobile Training Teams. In addition to training Iraqi Border Police, BORTAC agents also served as advisors and worked beside Iraqi Border Police officers in the field. From 2008 to 2011, BORTAC agents served as members of the Department of Defense Security Transition Teams in Iraq. BORTAC agents also trained the Iraqi Border Police tactical team as well as Iraqi Border Police officers and managers. During their service in Iraq, BORTAC agents served in Baghdad, Al-Waleed, Al-Qaim,Trebil, Zurbatiya, Muntheria and Umm Qasr. Clearly, this was a critical mission because the Iraqi Border Police are responsible for preventing smugglers, insurgents, weapons or the money needed to fund terrorist organizations from entering their country. 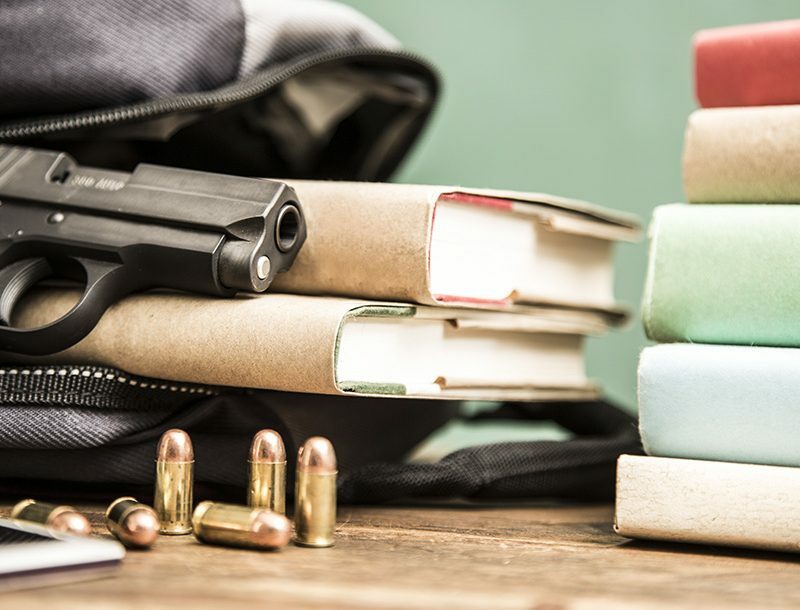 Both the screening program to qualify for BORTAC training and the actual training course is one of the most demanding in the law enforcement profession. The requirements to become a BORTAC agent include a minimum of two years in service as a Border Patrol agent, the successful completion of the physical abilities test, establishing proficiency with firearms as well as the successful completion of the five-week BORTAC Basic Selection and Training Course. The current attrition rate for BORTAC training is around 70 percent. 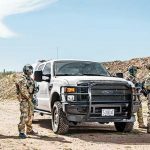 As sworn federal law enforcement officers, U.S. Border Patrol BORTAC agents are authorized to carry firearms on and off duty. When participating in high-risk missions here and abroad (with host nations and the U.S. Embassy’s approval) BORTAC agents are also authorized to carry an issued M4 Carbine and various other special weapons and equipment. 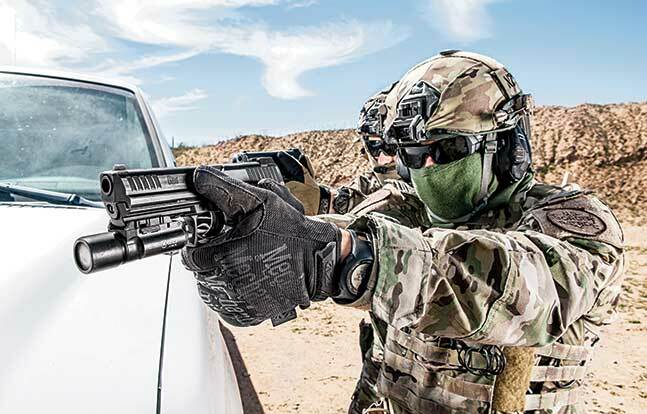 Tactical Weapons salutes BORTAC agents for their outstanding service to our nation, which includes securing our borders and assisting allied and coalition nations in performing their border security missions.